Go to www.facebook.com/marketplace/item/456334838128664 before clicking the Request to Book button. 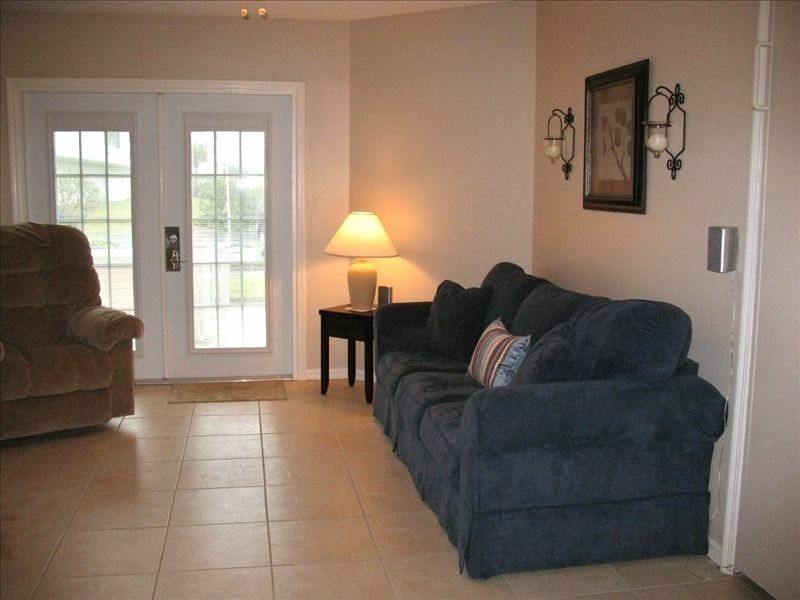 This attractive oceanfront condo is located in a resort complex on 700 feet of pristine beach in Cape Canaveral. This is the closest beach to Orlando, Disney World, Kennedy Space Center and Port Canaveral. This unit is on the ground floor so there are no stairs and no ocean view and is just steps away from the ocean and heated pool. This 800 sq ft unit features living room, dining room, den, fully equipped kitchen, bedroom with queen-size bed, vanity, full bath with shower/tub and separate shower. Sofa-bed in living room and futon in sunroom both sleeps two comfortably. Extra space and a Murphy bed for two makes this accommodation for up to five people comfortable and affordable. Our unit is tastefully furnished with everything you need to feel you are at home including washer and dryer, two televisions with DVD players, cable, wireless internet access, dishwasher, microwave, dishes, utensils, hair dryer and iron with ironing board. The unit also includes beach items (beach towels, beach chairs, boogie boards, beach umbrella, fishing pole, sand toys, horseshoes, and a beach bag), soaps (dish, dishwasher, laundry, hand soap, shampoo/conditioner, body wash) and paper products (toilet paper, paper towel, and facial tissue) for your convenience. You can watch rocket launches and cruise ships come and go from the beach. Orlando area attractions including Disney World, Epcot, and Universal Studios are less than an hour drive away. Orlando International Airport is a 40 minute drive away along the 'Bee line' expressway (SR 528). Restaurants galore up the street in Port Canaveral and Cocoa Beach to the south. Walk to Port Canaveral fishing pier. Port Canaveral has fishing boat and Casino cruises every day/night. Kennedy Space Center is a 15 minute drive. Many public and private golf courses are located nearby, the closest are less than 15 minutes drive away. Cocoa Beach just minutes away, is great for people watching at the famous Cocoa Beach pier and home of the famous Ron Jon’s Surf Shop. We really enjoyed staying here right on the beach. Plenty of good restaurants nearby. Loved it. Great location! Beach and pool were wonderful! Condo was very clean and comfortable! Could use a little updating. But overall a wonderful vacation. Look no further! This is it! Really enjoyed my stay here. Thank you for thinking of everything - a wonderful stay in a quiet unit with a fully-equipped kitchen. WiFI was recently upgraded and was excellent. The only complain is the Wi-Fi. Royal Mansions is a beautiful beach front resort in Cape Canaveral. Located less than a mile south of Jetty Park and Port Canaveral and about 2 miles north of the Cocoa Beach Pier, you can actually walk the beach to either location. We are one of the closest resorts to Kennedy Space Center and are conveniently located just off Highway 528 (The Beachline). We are less than one hour away from Orlando International Airport and only about one hour from all the Orlando theme parks. It's a great location for your Florida vacation.